More than half of lesbian, gay, bisexual and transgender (LGBT) people have experienced depression or anxiety in the past year, with many uncomfortable seeking professional advice through fears of discrimination. A YouGov poll of 5,000 LGBT people commissioned by equality charity Stonewall found that there was an alarming level of poor mental health among the LGBT community compared with the general population. Fifty-two per cent of LGBT people experienced depression and 61% experienced anxiety in the last 12 months. This is compared with one in six adults in England experiencing either condition, according to Mind. 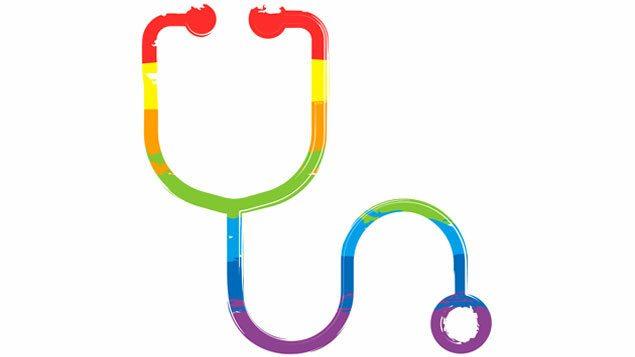 The survey results, contained in Stonewall’s LGBT in Britain Health Report, show LGBT people often experienced or witnessed discrimination from healthcare staff (23%), which has deterred 14% them from seeking treatment for their mental or physical health concerns. Thirteen per cent thought they received unequal treatment from a healthcare professional because they are LGBT. A quarter said healthcare staff did not understand their specific needs – this rises to 62% for transgender people. One person who was sectioned after a suicide attempt said a nurse claimed his mental health problems were “due to allowing Satan in [his] soul”. Another said she was being treated for depression that was partly caused by feeling isolated because of the lack of LGBT groups for older people in her area. Paul Twocock, director of campaigns, policy and research at Stonewall, said: “Simply being lesbian, gay, bi or trans shouldn’t mean you’re at higher risk of experiencing poorer mental health or should have to expect unequal treatment from healthcare services in Britain today. Unfortunately, this report shows that for many, it still does. Stonewall said many LGBT people face abuse and discrimination at home, on the street and at work. Among those who had been victim of a hate crime, 69% said it caused them to feel depressed while 76% reported having anxiety following the incident. Almost half (46%) of transgender people thought about taking their own life in the last 12 months. Twelve per cent had attempted suicide, compared with 2% of LGB people who are not transgender. “What this new research shows is the devastating impact hate and abuse has on LGBT people’s mental health and wellbeing,” added Twocock.